Different thermometers in our range of products - fast shipment. We supply different thermometers for all types of distillation and cooking. 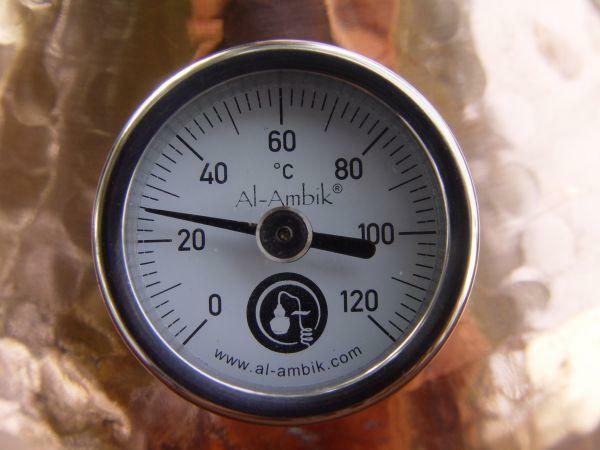 From the original "Al-Ambik®" distillation thermometers to various laboratory thermometers, precision thermometers with very exact scales, and floating thermometers for your cooling water. New: Thanks to the good collaboration with the Italian company Ardes (which has been supplying us for a long time with electric hot plates for distilling), we now offer even baby and fever thermometers (although that does not have much to do with our actual distillation thermometers).